It also states that it has 0,9 stops more DR than the GH5s @400iso, but @3200 the Pocket loses one stop and the GH5s doesn't so at low light they have similar DR. That puts the Pocket 4K almost on par with the FS7, which is pretty amazing. Last edited by Fauxto; 10-29-2018 at 02:04 PM. And who knows if BM can squeeze a tiny bit more DR with BRAW ? Either way, it already has enough DR for being an indie movie sensation. If BRAW cleans a bit the shadows I guess the results could be a bit better, yes. Last edited by shijan; 10-29-2018 at 02:47 PM. DR is DR. You can place the middle grey where you want with Iso or grading. Just use 800 ISO and you'll have one stop more in the highlights. BRaw on the UMPro is said to have gain 2-2.5 stops in the shadow so P4k may gain about 2 stops in the shadow. BRaw should benefit low light. Not really a thing. As Fauxto pointed out, DR is DR. The middle grey point is determined by the ISOs on this camera. The first two are clipped on all of them. The log curve often is made to capture more than the cameras actually can for future proofing. S-Log is the same on all Sony cameras but some have more DR than others. 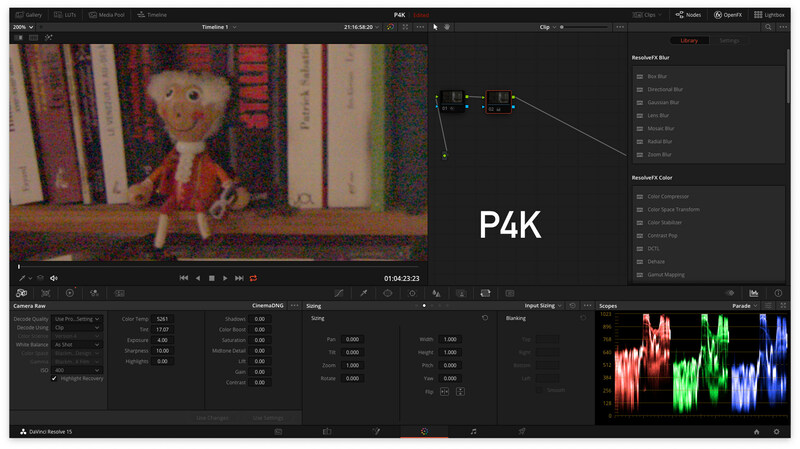 Interesting when asked about Raw dynamic range it looks like the P4K is already using part of the new Braw features. "The Pocket Cinema Camera 4K uses our new demosaic algorithm developed with Blackmagic RAW, before encoding to ProRes. 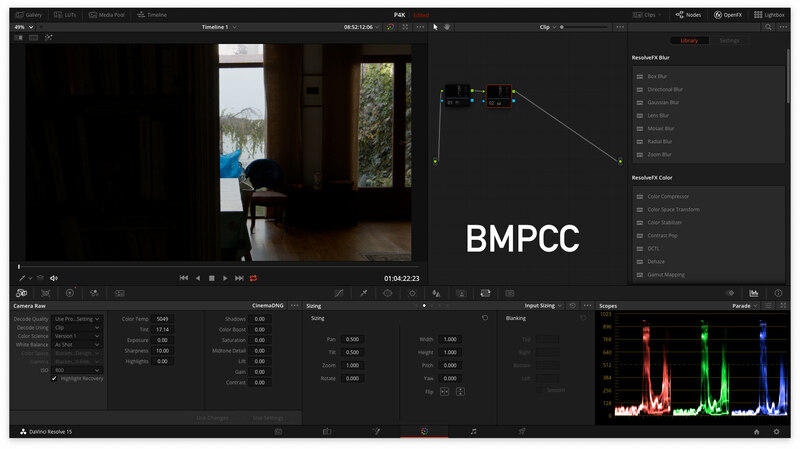 This new algorithm helps to reduce noise and improve the dynamic range in ProRes capture. 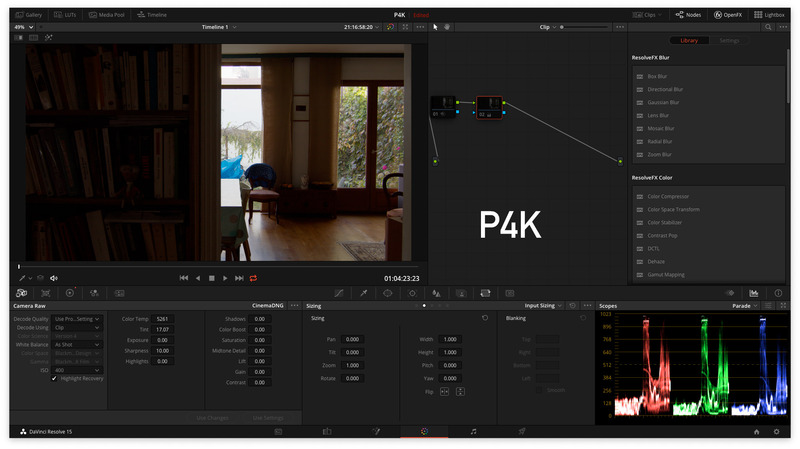 With Cinema DNG RAW, the demosaic is still performed in DaVinci Resolve. That enables full control and manipulation over debayer settings, noise reduction, and highlight recovery to increase the dynamic range measurement beyond that of ProRes. RAW users benefit from the full control and manipulation of the image, to decide which parameters they would like to tweak and finesse.﻿"
This is some kind of strange dirty marketing dynamic range measure. From P4K footage never feels like outperforms older cameras in dynamic range. It looks sharper and with less moire, but always have that fake DSLRish "slightly not enough dynamic range to look like real film" feel. This is like samples from other thread, where two frames shoot with P4K and BMPCC, but P4K overexposed almost 2 stops compare to BMPCC and calm that p4K shadows are cleaner. 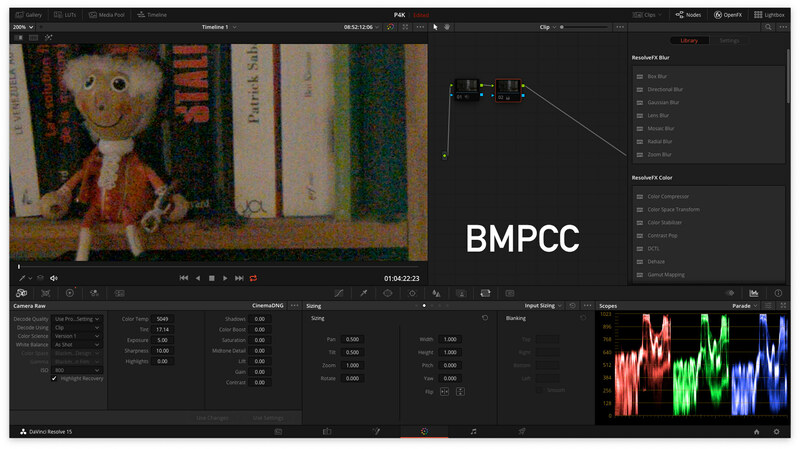 The funny thing that even with 2 stops underexposed BMPCC with recovered shadows in post looks almost same as P4K already exposed 2 stops higher and downscaled from 4K to HD.